*Disclaimer: This post may contain affiliate links! This means I earn a small commission if you purchase anything through said link. I only recommend products I know and love or that are on my wishlist for future purchase. Good concealers can be tough to find as your skin ages, especially when used on that super thin skin under the eye. Remember even the best concealer can only do so much. The better condition your skin is in, the better it will work. 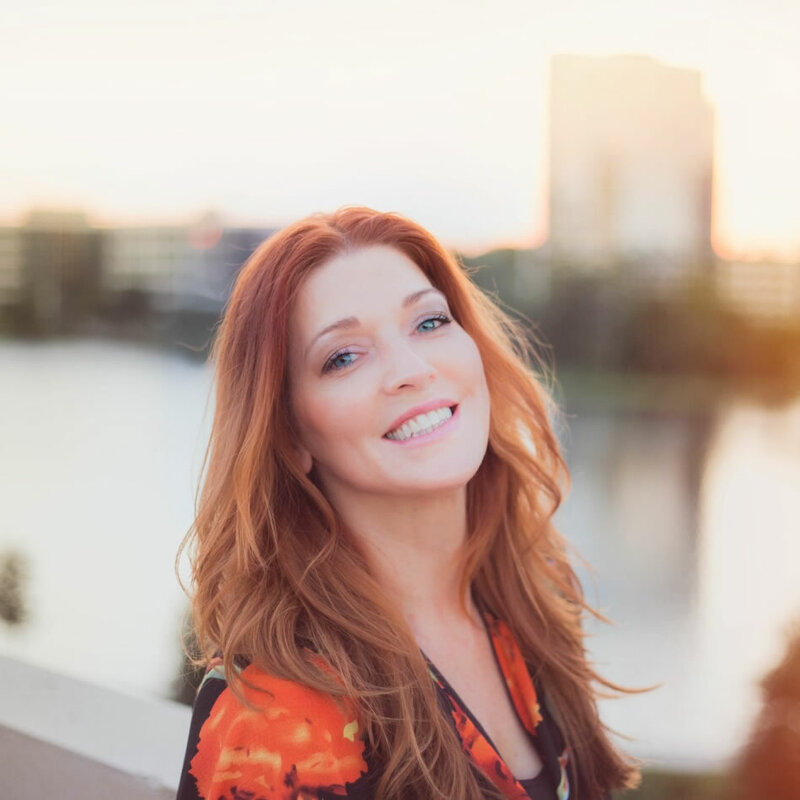 I’ve written about that here Best Treatments For Under Eye Concerns and here Best Skincare and Makeup for Mature Eyes. When I ask my clients what is their biggest area of concern, the eye area is mentioned frequently. Whether it’s dark under eye circles, eye bags, puffiness, or wrinkles, a good concealer can help take the focus off those issues. Now let’s dive into what you came here for. I’m going in order of heaviest coverage to lightest. Clé de Peau Beaute Concealer–This concealer is your best bet for covering blemishes, hyper pigmentation, and injection bruises. If you have thin skin and your blue veins show through, this baby works wonders in covering those as well as “broken” capillaries around the nose. Its the next best thing to wearing theater makeup. If your under eye area tends to be crepey, this might be a little too heavy. I recommend hydrating the area well before using. You can also thin it out with a lighter weight concealer. It is pricey but a little goes a long way. I’d be shocked if you would use one up before it expired. 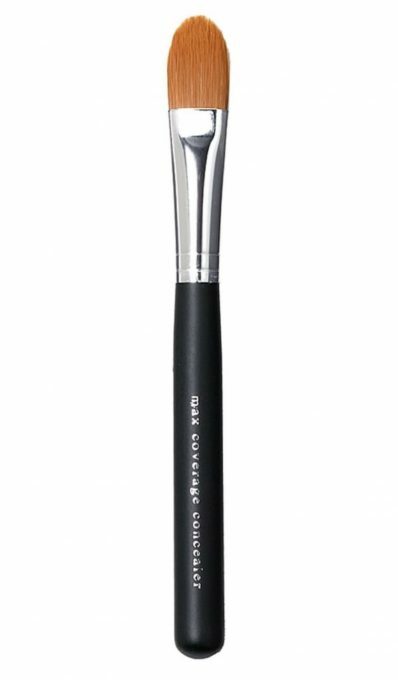 BY TERRY Stylo-Expert Click Stick– This has become my new favorite, not only for coverage but because it is half the price of Clé de Peau. I love that it is the same stick style packaging as the previous option. It covers extremely well yet is not quite as thick. I mainly use it to cover blemishes, but also as a primer on my eyelids as it covers veins very well. When my under eye is hydrated, I can use it without it separating in little cracks. This is a great option for all around creamy full coverage and if your under eye is only mildly crepey. 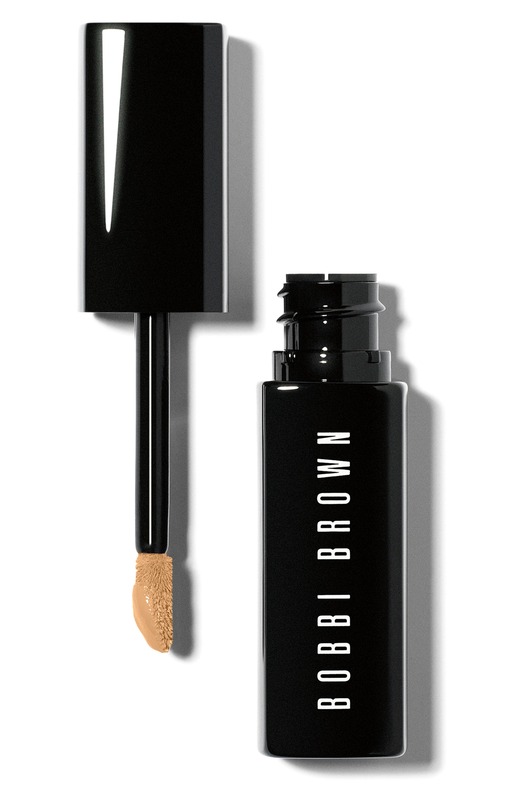 Bobbi Brown Intensive Skin Serum Corrector- Don’t let the lighter texture fool you, this concealer has great coverage. Because of the weightless texture, this makes the best option if your under eye area is very crepey, while it’s able to disguise blemishes all over. Not only is it a great cover up, it has good for you ingredients. “Formulated with a skin-boosting blend of cordyceps mushrooms, Indian tree root and bamboo grass, Intensive Skin Serum Corrector helps visibly counteract major causes of dark circles, including aging and excess pigmentation. It re-energizes tired-looking skin, supports its natural repair process and significantly boosts skin’s moisture levels for a plumper, smoother, more refreshed look. Its weightless serum texture floats over skin and imperceptibly covers discoloration. Your eyes look fresher, brighter and more rejuvenated instantly and day after day”. Another great thing about this Bobbi Brown concealer is it feels like a never ending container. I’m sure I’ve had mine well past the expiration date so I just purchased another. Natura Bisse Cure Sheer Eye- Technically this isn’t a concealer, however, if you like a no makeup look it can be. What is amazing about this product is it can be a luminizing eye cream pre-concealer or if you don’t have darkness under the eye it can stand alone. One of my favorite ways to use it is to smooth out any midday cracking with a tiny amount. If you are prone to concealer settling and cracking, this could be your new best friend. It will play nice with your existing concealer. “Restores, hydrates, fights fatigue around the eye contour area. Its anti-wrinkle and detoxifying power firms the delicate skin around the eyes, diminishes under-eye puffiness and dark circles, erasing any sign of tiredness. The color pigments make it the perfect ally to even your tone and brighten the contour area beautifully, immediately making your eyes look rested”. So now that you found your holy grail concealer, how do you apply it? You can use your trusty little finger tip, but you are more likely to get a better application with a good concealer brush. If you’ve never used one, I highly recommend it. I’ve had mine for about 13 years and it still looks as good as when I bought it. If you are a creature of habit that needs to use a powder to set your makeup, I would encourage you to try it without powder. Powder is not our friend as we age. Be sure to use the lightest dusting possible. 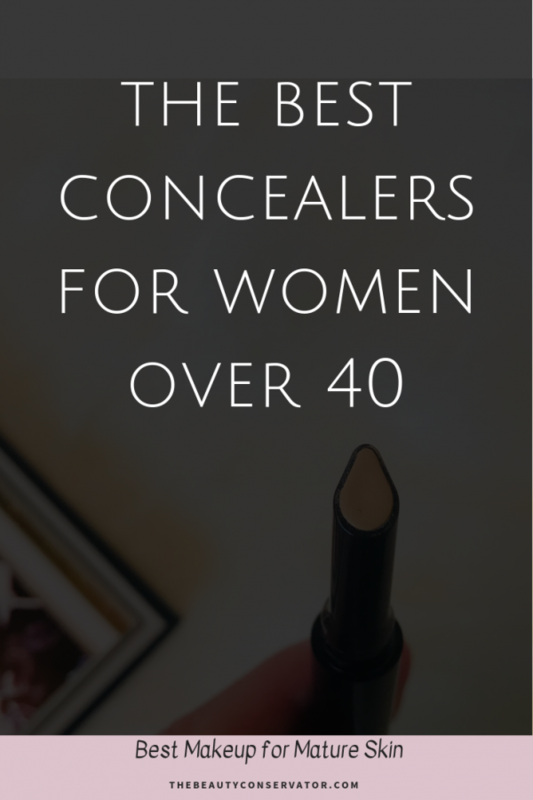 What are your favorite concealers for mature skin? This is interesting to learn, because I do usually use my finger. And I have a brush like this…I just never think to use it!! Thanks for all this great information!! Thank you for the compliment, Jodie! If you are not trying to cover a particular trouble spot, your finger is fine. If it is a problem area, you get a little bit more coverage with a brush. Hope that helps. I’ve heard great things about the By Terry Concealer Stick! Adding it to my list!💕💕 I’ve used the Bare Minerals concealer brush for years as well & it’s the best! 2 of my fav concealers are Maybelline Instant Age Rewind & Lancôme Effacernes. Both perform well on my less than perfect mature skin. I’ve heard lots of good tings about this product, and I’m definitely interested. Thanks for sharing dear! Thank you, Jessica! They are all great products!